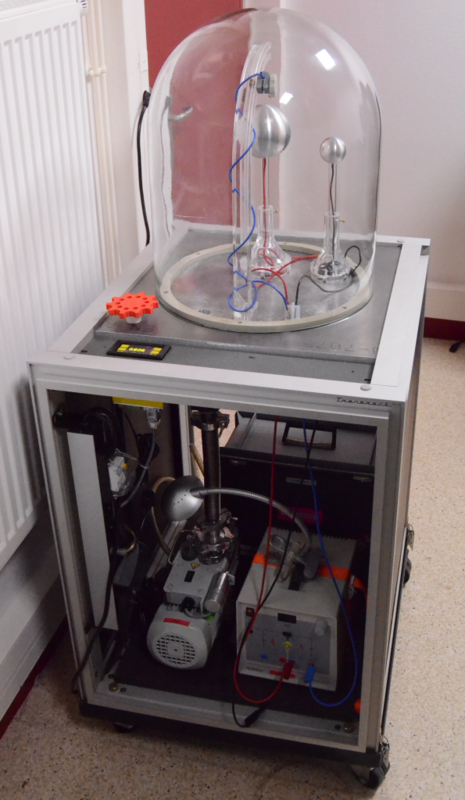 Initiated by Jean Lilensten of the Institut de Planétologie et d’Astrophysique de Grenoble (IPAG), this experiment is now being used with great success at several sites in France and abroad [http://planeterrella.osug.fr/?lang=en]. 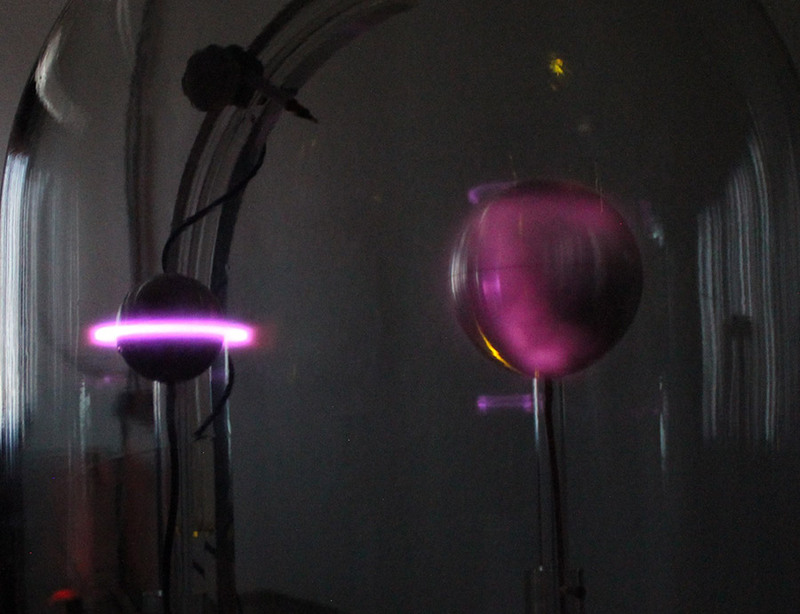 The experiment consists of a transparent enclosure inside which are spheres used as electrodes containing powerful magnets. A low pressure environment is created in the enclosure by means of a pump. A potential difference between the electrodes produces an electrical discharge in the gas. We have made this device at the LPC2E on the basis of the documents sent to us by Jean Lilensten and thanks to the enthusiasm of the members of the LPC2E Mechanical Workshop (thanks to them!). We use the Planeterrella to introduce our students and the general public to the space environment of the Earth and planets of the solar system.